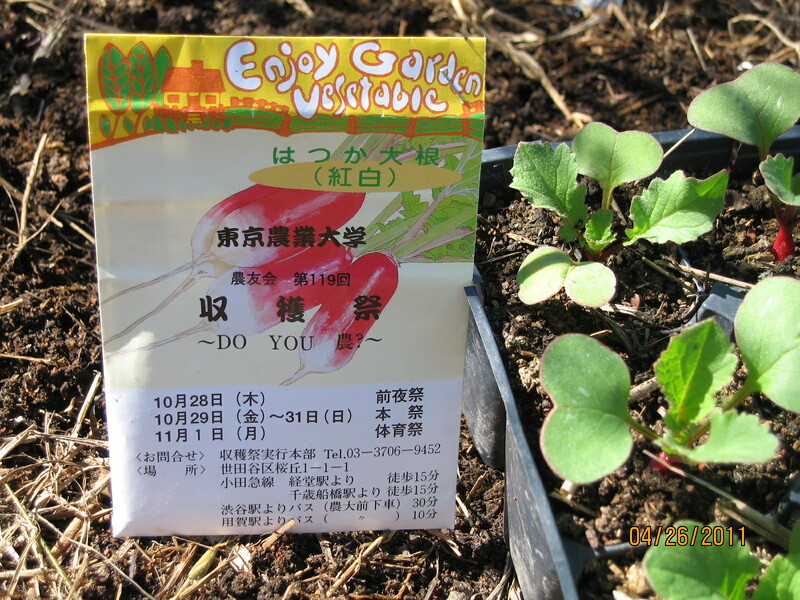 When my parents visited Tokyo last autumn, they came upon Tokyo University of Agriculture students handing out vegetable seeds to promote "grow it yourself" and their university. One of the packs they brought back is "Red White Daikon." I don't know whether there's an American name for this variety. The closest photos I can find on the web are the ones called "Long Red Radish" or "Long Red Scarlet." 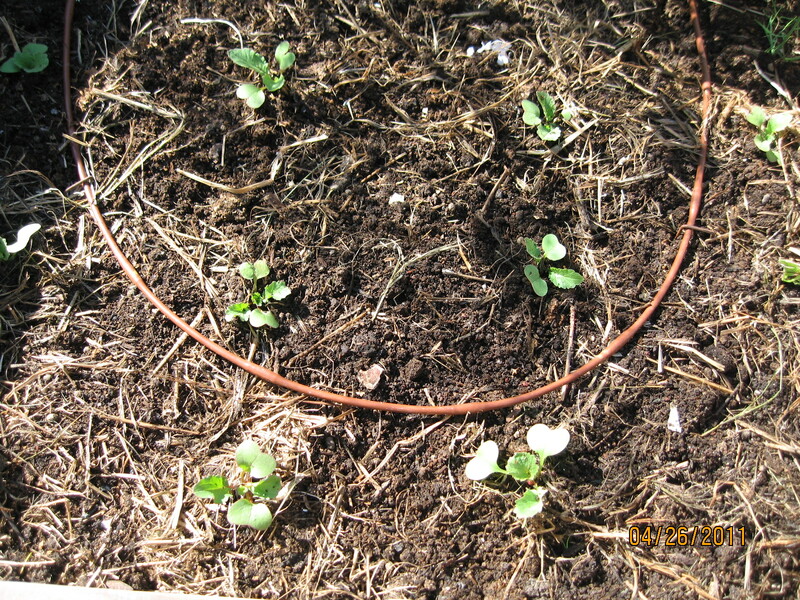 These are summer radishes. 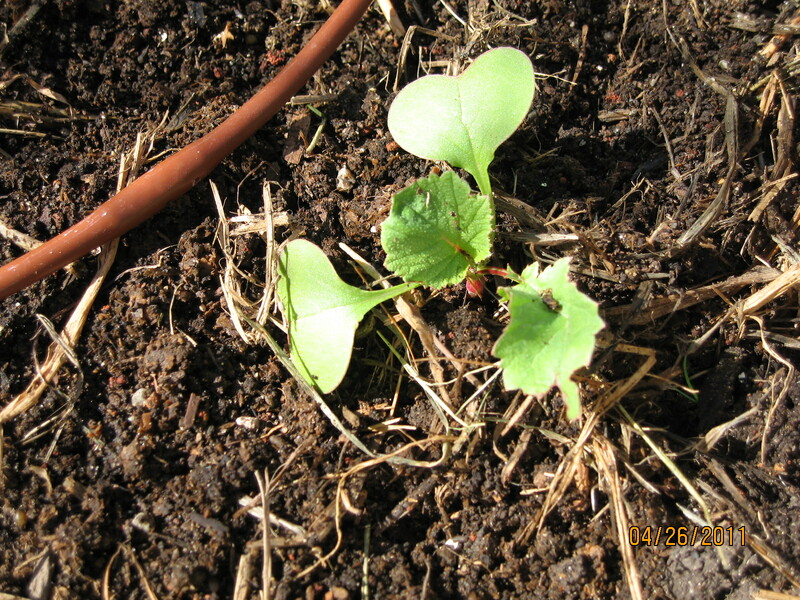 I planted the seeds about a month ago, and they germinated nicely. I can see the little red roots. I cleared out a spot in one of the vegetable beds, turned the soil, and mixed in some compost during the weekend for transplanting the red white daikon seedlings. To avoid pill bugs from devouring the seedlings, I sprayed the soil with some very diluted soapy water. It's a couple drops of dish detergent mixed into a quart of water. It's similar to the recipe I got from my friend for getting rid of aphids. I think adding cooking oil is optional. This is a safe way to get rid of garden bugs without using harmful chemicals. I planted 12 of them, and I still have 6 more. 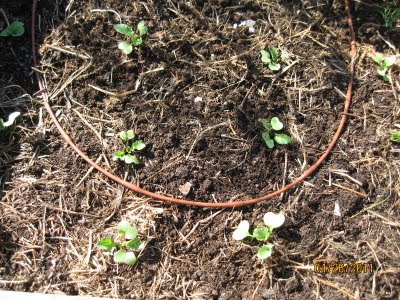 I am keeping a few for now as backups in case some of them don't survive in the vegetable bed.